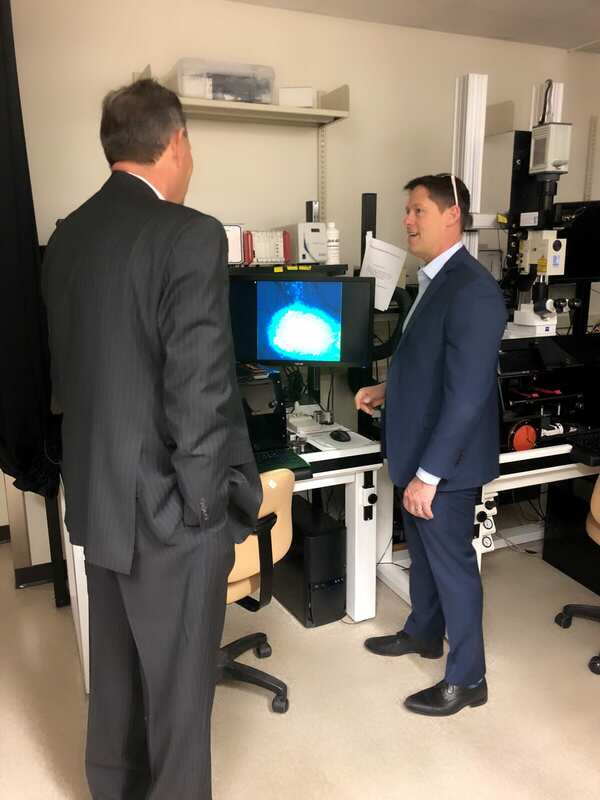 The APCaRI laboratory in the Department of Oncology at the University of Alberta hosted an early morning visit on October 11 by Dr. Richard Starke, MLA for Vermilion-Lloydminster @RichardStarke. Dr. John Lewis led the tour of the facility and discussed the work being done by APCaRI members on using the in vivo chick embryo imaging technique to follow tumour motility through the vasculature, screening for metastasis-gene targets in human cancers to develop metastasis-blocking therapeutics, and the design of Nanostics’ prostate cancer diagnostic blood tests platform; ClarityDx Prostate. Later that day Richard Starke tweeted about his visit describing it as an incredible tour of @UAlberta research facilities! 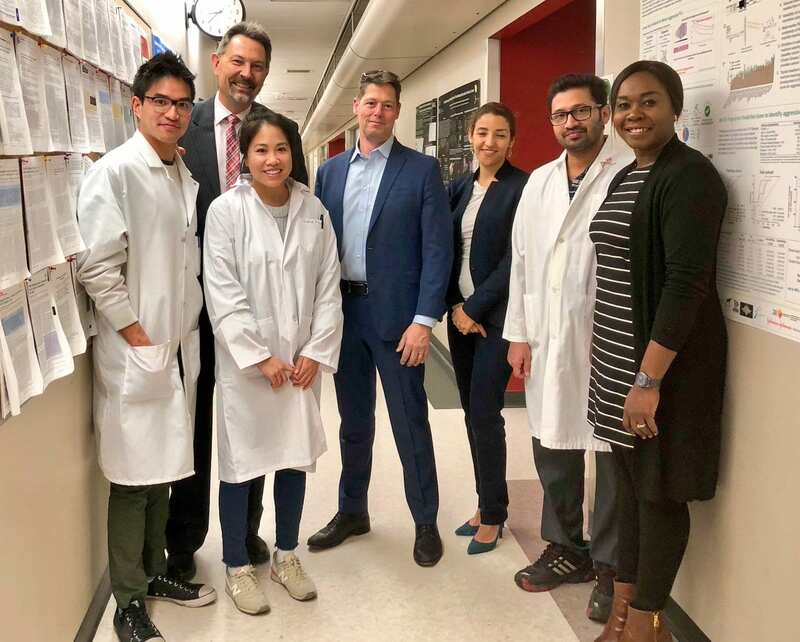 Along with Dr.’s Starke and Lewis (from left to right in feature photo above) were technicians Mike Wong and Diana Pham, Nanostics COO Catalina Vasquez, technician Renjith Pillai and our Program manager Rume Djebah.